Who We Are | Quality, Friendliness, Efficiency | Moore Truck & Equipment Co.
are just some of the characteristics of the team at Moore Truck & Equipment. Knowledgeable, efficient and friendly are just a few words our customers use to describe the team at Moore Truck & Equipment Co. Our employees share an extensive knowledge of all of the products we offer and the brands we work with, and their commitment to customer service informs each step of the sales and delivery process. Much of our business comes from repeat customers who understand the value we place on quality and relationships. 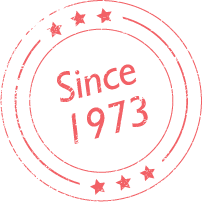 Moore Truck & Equipment Co. was founded in Shreveport, Louisiana in 1973 – right in the middle of one of the lowest points in the U.S. oil industry. While it may have been a hard time to be part of the industry, you could say it was one of the best things for our business because we learned just how valuable integrity and trust was to us – and to our customers. Since then, as the industry has suffered and soared with fluctuations in the market, we have held onto those core values. Not coincidentally, we have also held onto many of our customers over these years. Today, Moore Truck & Equipment Co. is proud to be a major supplier of transportation equipment to the rig-moving and heavy-haul industries.